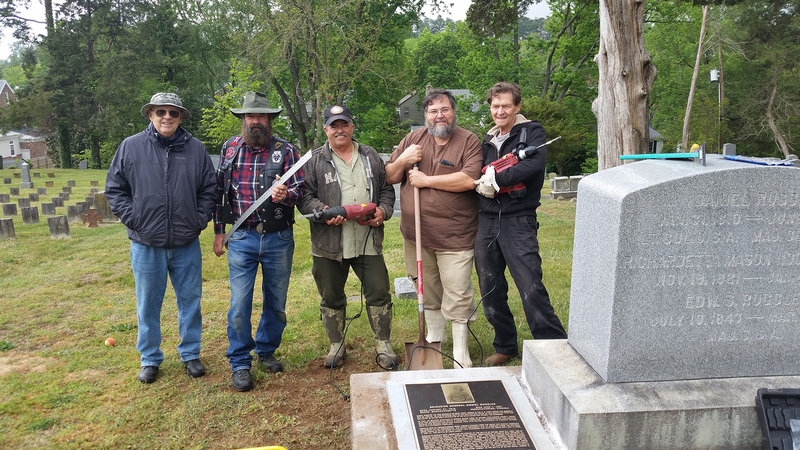 The SCV Matthew Fontaine Maury Camp 1722 and the Military Order of the Stars & Bars MG John Bankhead Magruder Chapter 258 are organizing an event with the Fredericksburg, VA Ladies Memorial Association to re-dedicate the Confederate Statue that is in the center of the Fredericksburg Confederate Cemetery. The Ladies Memorial Association was the dynamic of this cemetery’s inception after the War Between the States and still is the dynamic that maintains it today. This will be the 125th Anniversary since it was dedicated on June 10th, 1891. The ceremony will be held on 11 June 2016 at 11:00 a.m. in the cemetery. Ms. Jackie Ferris of the Ladies Memorial Association will open the ceremony and they have asked me to be the Guest Speaker. I will present the oration that General Bradley Tyler Johnson presented on that day in 1891. The local United Daughters of the Confederacy and the Children of the Confederacy will also be present, along with other local Camps. On that day in 1891, the following Confederate Camps attended the unveiling: Maury Camp of Fredericksburg, Robert E. Lee Camp of Richmond, Pickett Camp of Richmond, Pickett-Buchanan Camp of Norfolk, Robert E. Lee Camp of Alexandria, Ewell Camp of Prince William. Delegations from New York, Baltimore, Washington, Roanoke, Leesburg, Lynchburg, West Point and Charlottesville Camps also attended. It would be grand to MOS&B Chapters at the ceremony.